Europe gave a cautious welcome Monday to new Greek proposals aimed at ending a damaging credit crisis that threatens the country's future in the euro. 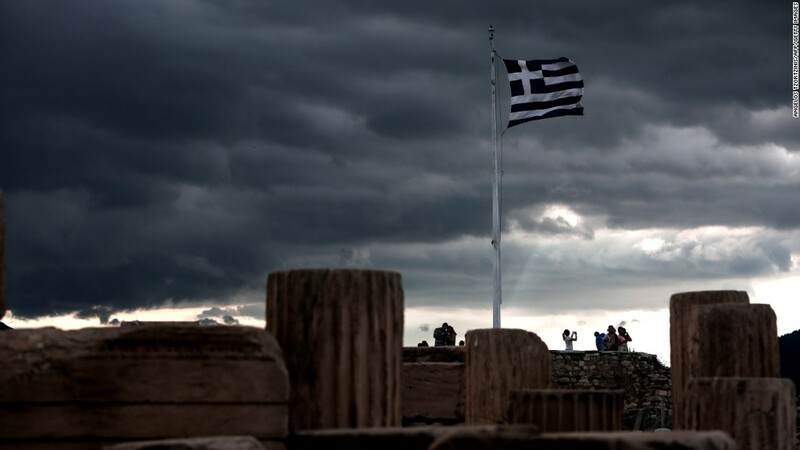 Greece needs more bailout cash from Europe or it will miss a payment to the International Monetary Fund due June 30, setting it on an unpredictable path that could lead out of the eurozone. Finance officials said the latest Greek submission on economic reforms, tax rises and spending cuts could form the basis of an agreement this week but needed more work and careful assessment. They'll reconvene Wednesday. Eurozone leaders reiterated that view later Monday, saying they hoped a deal could be done by Thursday. "We can now see that all parties are fully committed to finding a solution," said Donald Tusk, who chaired the emergency meeting of leaders including Germany's Angela Merkel. "The new Greek proposals are a positive step forward." 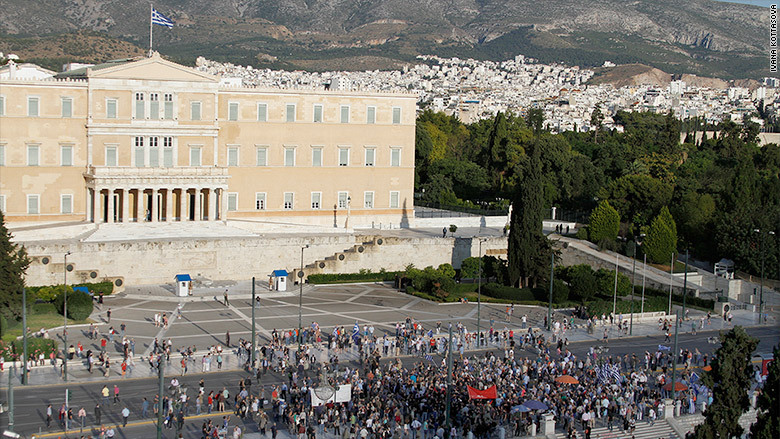 Greeks gathered in Athens Monday evening, urging the government to strike a deal to keep the euro. "If they don't reach an agreement, it would be a disaster," said student Nicolas Kostepaulos. "Banks will close, there will be capital controls, and nobody will invest in Greece." Others said they would only believe Greece's future was secure when a deal was finalized. "I am very worried about leaving the euro," said Fatis Sarantopoulos, a chemist. "I think this government is crazy and stupid ... We have lost five months. I don't think there was even any discussion [during that time]." Prime Minister Alexis Tsipras, who was elected in January on promises to end austerity, had resisted the conditions Europe and the IMF are demanding in return for the last 7.2 billion euros of Greece's mega 240 billion euro bailout. But pressure for a deal has been building. Account holders have pulled billions out of Greek banks because of the uncertainty over the country's future. That has left the banks dependent on emergency funds from the European Central Bank, a lifeline that would likely be cut if Greece fails to get a deal soon and defaults. The ECB agreed again Monday to provide more funds, but is reviewing its support on a daily basis. Greece sent Europe and the IMF new proposals overnight, appearing to concede ground in two key areas -- state pensions and sales taxes. The Greek government is offering to raise the retirement age to 67, set the main rate of sales tax at 23%, while continuing to levy lower rates on energy, basic foodstuffs, medicine and books, a European diplomatic source told CNN. Greece was also prepared to raise the rates of income and corporate taxes, above certain thresholds, according to media reports. "Our assessment of the reported changes above is that they represent meaningful concessions from the Greek side if they are to be confirmed, bringing them closer to the creditor proposals," commented analysts at Deutsche Bank. -- Chris Liakos in London contributed to this article.